Steve has also been featured on Open House New York, HGTV's Million Dollar Rooms, the Travel Channel's Jaw Dropping Rentals and Bravo's Million Dollar Listing. 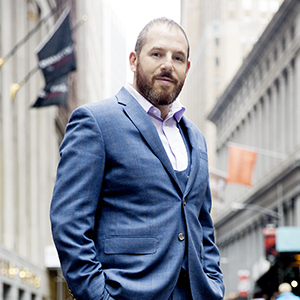 Steve Halpern, the leader of The Halpern Team, joined Compass in 2013 as one of the company’s founding agents. As a New York City native, growing up in both Brooklyn and Manhattan, Steve has an unparalleled knowledge of the city’s neighborhoods and has watched them grow into what they are today. With over 200+ closed transactions, Steve specializes in both high-end rentals and sales and has become known as an industry leader in innovative marketing while maintaining a kind, passionate approach to working with clients. Having toured the world as a musician, DJ, and music producer before turning to real estate, Steve offers his clients a degree of creativity that sets him apart. Steve's ambitious approach to doing whatever is necessary for his listing to stand out from the competition has led to many record breaking successes, often where others have failed. Steve is known amongst colleagues, clients, and friends as a man of passion, which leads him to improve not only as an individual, but as a professional. This passion can be showcased in the global branding of 214 Lafayette Street, resulting in one of the largest residential rental transactions in New York history, in the amazing video “118 East 83rd Street, Surprise, The Film,” which has garnered over 200-thousand combined views, and in the Muse Creative Award winning, 'A Space To Be You.' and the honor of being awarded top 9 video influencer nationwide by Tom Ferry.